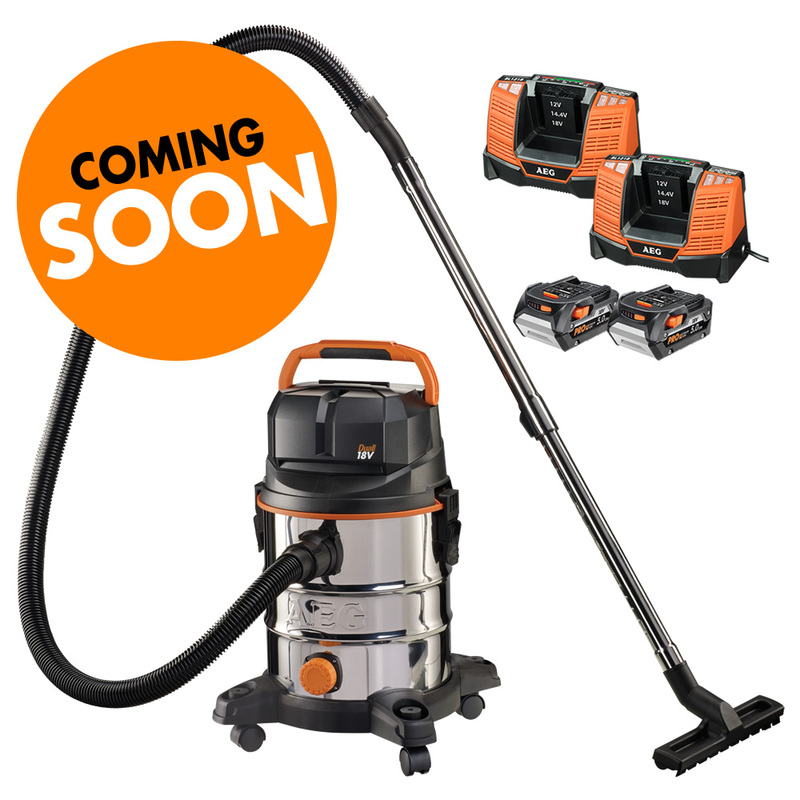 Joshua B. wrote in about a new AEG 18V cordless dust extractor being spotted over in Australia called the DUAL 18V 20L DUST EXTRACTOR KIT. For those of you new to the great big tool world, Ridgid is known as AEG in other parts of the world. In other words AEG is Ridgid outside of the USA. 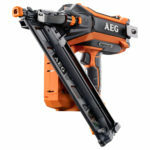 New tools spotted as AEG tools sometimes become Ridgid tools. The info for the new AEG DUAL 18V 20L DUST EXTRACTOR KIT comes from the Australian AEG site although there isn’t a description, just a features list. 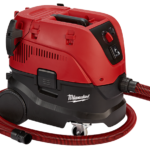 So basically the new cordless unit is a full size wet dry vacuum (dust extractor) with a 20 liter or 5.2 gallon capacity. It features a stainless steel tank and features a HEPA rated filter and comes with the usual goodies like a drain plug, blower, and wheels. I also see a premium hose and stainless steel extensions for added pizzazz. It’s part of AEG’s 18V system which means it uses their current 18V lithium batteries but according to the AEG site, it’s called a dual 18V vacuum. So it should be able to accept two 18V batteries at a time but no other info is disclosed whether it can run on only one battery and use the second battery for additional runtime and maybe more performance OR if it needs both batteries to operate making this a 36V vacuum? It’s hard to say since the recent cordless Ryobi 18V brushless 10″ miter saw needs to use two batteries to make 36V and the recent cordless AEG 10″ brushless miter saw can use 2 batteries at the same time for additional runtime but only needs one battery to operate. Which one is it? I can’t say based on the lack of info from the AEG website but in the picture it shows two 18V batteries and two chargers. This clue leads me to believe that it’s probably a 36V vac that needs two 18V batteries to operate because if it only needed one battery to operate then one charger would suffice. Otherwise if it needs two batteries to operate, you need to charge them both at the same time to get back in business. Her I was, watching nps17 coverage and AEG (hopefully ridgid) comes out with the 2 tools I figured Milwaukee would have. 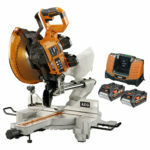 Dual battery miter saw and vac. Good for aeg/ridgid shame on you Milwaukee. Get off your high horse and explore dual 18v battery options.